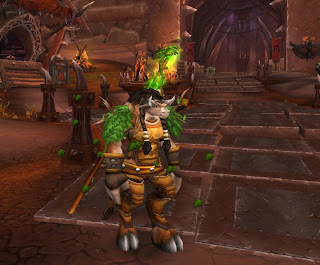 Vault of Light: Alt Appreciation Week Two - Druid. Alt Appreciation Week Two - Druid. I have a bit of a love hate relationship with Druids. It's the only class I don't really enjoy healing on but I sure do love the class in general. What's not to love about shape shifting and having four talent specs? Oh! and the dances, you can't not love the dances! I'd often group up with a Druid in instances and absolutely adored them. They always seemed to be played by such cool friendly people. Despite my love for the class and my desire to play one I could never get my head around them, at least not enough to stick with them. Between Vanilla and late BC I had created about six Druids none of them making it past level fourteen. They'd reach that magic number, become abandoned on my character selection screen and inevitably meet the same fate as the many Warlocks, Rogues and Druids before them - I'd delete them. Something changed with Leala, I don't know what. 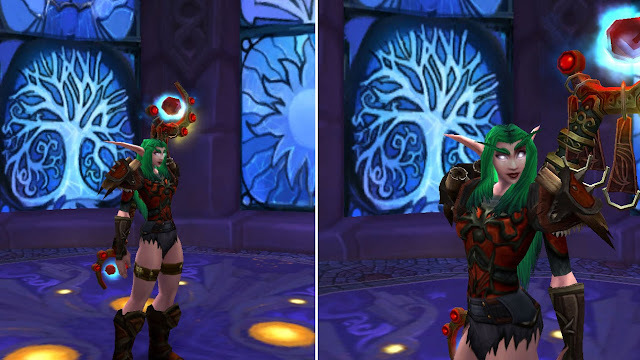 As the end of BC was looming I created myself yet another Night Elf Druid after watching some PvP videos featuring a Feral Druid. I just wanted to play one so bad! Somehow Leala made it to level twenty. This was a first! She had kitty form now, soon she was fourty! I instantly took a balance spec and headed out to Theramore to quest. I died, I died a lot. Really a lot. 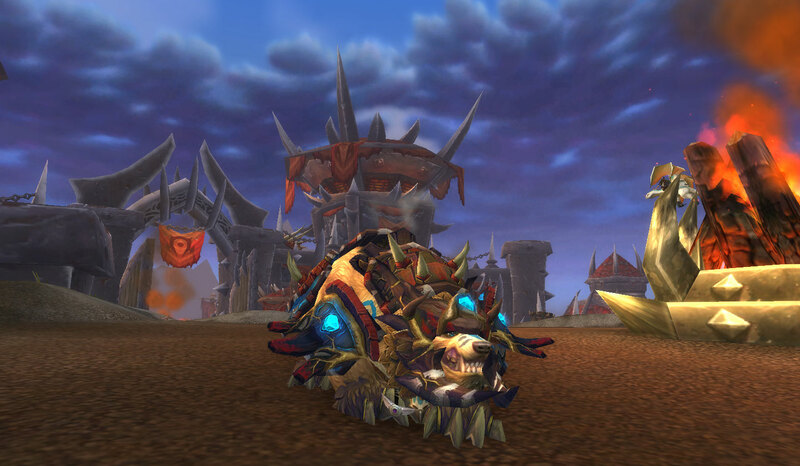 I went back to feral immediately and she made it to seventy before Wrath was released. It felt like quite an accomplishment. After Wrath hit she became my second level eighty, ahead of my Mage and even my Hunter - two of my favorite characters. During Wrath of the Lich King my guild transferred to Horde at that point the only option for Druid's were Tauren. I hated her. The only saving grace was that I still played her as Feral and the Horde cat and bear forms are pretty cool. I leveled Leala to eighty five a bit later though Cataclysm but I just don't feel the way I did about her. While it's all doom and gloom for poor Leala, that's not the case for Ahdrin! My second Druid who's again a Night Elf. She's currently level eighty eight and I've recently picked up a Guardian spec which I'm really enjoying!